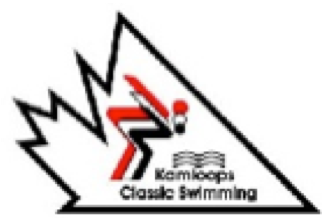 Swim BC is pleased to be partnered with Kamloops Classics Swimming in hosting our Winter Provincial Championships, March 7-10, 2019. With approximately 500 swimmers registered to compete in this meet, it is expected to be an exciting competition. Three days of competition are in the books at Swim BC’s 2019 Winter Provincial Championships, and as they did at Winter Age Group Championships two weeks ago, Hyack Swim Club appears poised to take the team championship at this meet as well. With only four individual events per gender remaining, Hyack has staked a substantial lead in team points, with 722.5 points; a tight three-way battle continues for second place, however, with Langley Olympians (556.5), Island Swimming Club (539.5), and Spartan Swim Club (504.5) all within striking distance of one another. Kelowna-Westside Association rounds out the top five with 473 points. There is a cap (eight) on the number of individual events each swimmer can entry, so with some swimmers having more races completed already, the individual scores can be a little mis-leading. Points-per-swim so far, though, has Ashley McMillan (KISU) and 19.4 points per swim just barely ahead of Bailey Herbert (LOSC) who has 19.2 points per swim. Octavia Lau (HYACK) with 18.4, followed by Adam Wu (SKSC) with 17.4, and Myles Wheeler (SPART) with 16.4 round out the top five there. Races get underway tomorrow at 9am, with finals scheduled to start at 4:30pm for the last night of the meet.